Prince George is the epitome of cuteness standing barefoot on a large wooden swing, but it was a particular detail that caught our eye in his third birthday portrait. The swing on which the future King proudly stood was engraved with his parents’ names ‘William and Catherine’. 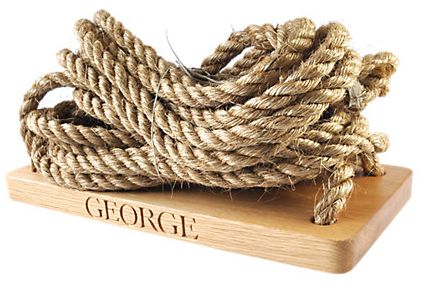 The beautiful, personalised swing added to how gorgeous George looked on his third birthday. In fact, The Oak and Rope Company was commissioned to make this swing as a gift for Prince William and Kate’s wedding in 2011. Even though they were just starting out and really excited to be commissioned for such a special occasion. The Oak and Rope Company made the conscious decision not to discuss this with anybody. Jeanette Aurdal Nieman, the MD said “It was a personal present, and we thought it deserved to remain a private matter.” So it came as a wonderful surprise when she received a call, telling her their swing is featured in George’s birthday portraits. The Oak and Rope Company creates beautiful gifts from sustainable materials. Hand carved at their workshop in Kent. These solid oak designs can be personalised. Adding warmth and wit to home interiors. Making them the ideal present for celebrating something, or someone special. 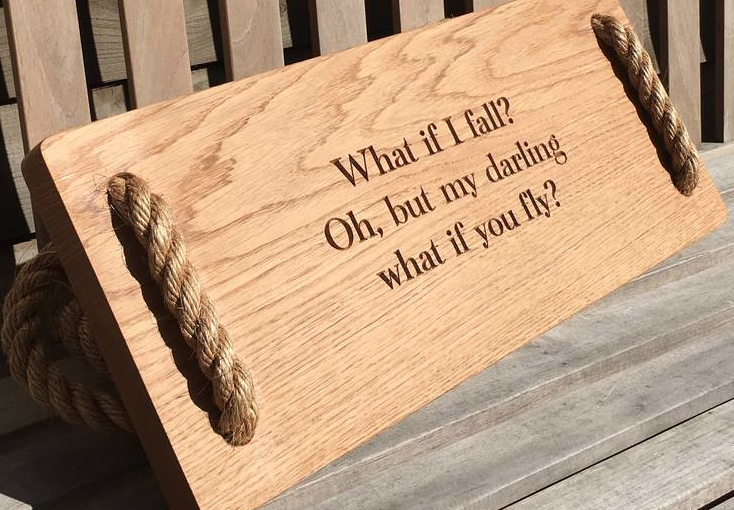 The Oak and Rope company beautifully hand-crafted garden swings come with the engraving of your choice. You can find them at Not On The High Street (3% saving using KidStart). Also available at John Lewis (1.5% KidStart savings). Get the look for less with this personalised solid oak swing seat from Etsy (5% KidStart savings). Also this children’s handmade personalised solid oak tree swing from Amazon (2% KidStart savings).